The GIS interface as well as our other business partner interfaces let you view the surveys where you choose. Risk Assessment Analysis is possible with accurate data gained from the field. 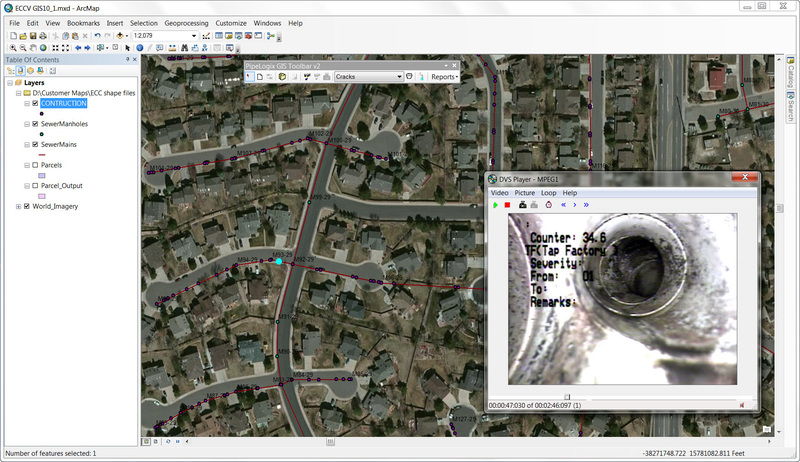 When viewing from GIS with the PipeLogix toolbar you can search the PipeLogix database and highlight pipes with specified conditions or grade/score values. Visually view where the problem areas are in the city including service issues like grease so you can more efficiently schedule jetting and other secondary functions to the location in need. Since the PipeLogix database has always been asset based, you can easily look at a pipe historically by paging through all of the inspections done on that pipe to see how it has changed over the years. Evaluate the underground infrastructure before making capital investments like road resurfacing and calculate the optimum time to repair or replace. Interested in learning more about PipeLogix?